Ready to choose a new credit card? Our finance experts have compiled the summary table below to give you a quick glance at all the best unsecured credit cards for people with a bad credit history. As you review each card, take into consideration its interest rate, credit-bureau reporting, and overall review rating. If you see a card you'd like to learn more about, simply click on the card name to visit the card issuer's website. Most credit cards are unsecured, but there are many different kinds of unsecured cards for all types of credit ratings. Unsecured credit cards get their name from the fact that the debt is unsecured, i.e, not backed by collateral. There’s much to know about unsecured credit cards, so let’s start from the top. 1. What is an Unsecured Credit Card? An unsecured credit card is a card that doesn’t require a cash deposit to secure the line of credit, unlike its secured credit card counterpart. While there are different options for unsecured cards, your credit score will determine which unsecured cards you’re best qualified for. 2. What’s the Difference Between Secured and Unsecured Credit? The main difference between secured and unsecured credit is that a secured credit card requires the applicant to make a deposit upon approval, which is the bank’s way of protecting itself if payments are not made. This amount typically varies between $49 and $3,000, and is oftentimes equal to the amount of credit issued (credit cards that require a lesser deposit than the credit limit given are known as partially secured cards). Secured cards are best suited for those with low credit scores or limited credit history. Unsecured credit cards – cards that do not require a deposit – are also available to those with poor credit, but getting approved for an unsecured card can be harder than it is for secured cards. In terms of purchasing abilities, unsecured credit and secured credit work the same way. 3. What are the Types of Unsecured Cards? Unsecured cards come in many different forms, but there are two primary differentiators: rewards type and credit type. The better your credit, the better the unsecured card you’ll qualify for. Those with good credit scores (700 and above) will qualify for the best rewards programs, APRs, and sign-up bonuses. Unsecured cards offer a variety of rewards programs for cardholders to earn air miles, cash back, points toward merchandise and travel, or even perks like 0% APRs for a duration of time after approval, usually up to 18 months. With a lower credit score, you may not receive the same perks, but there are still options and advantages for subprime applicants. Because banks view applicants with poor credit scores as the riskiest borrowers, these types of unsecured cards may come with other requirements attached, such as a minimum gross annual income or having a checking account with direct deposit. Even so, some credit cards for bad credit still offer a modest 1% cash back on purchases, and with responsible use, you can help improve your credit and eventually qualify for better offers. When applying for these types of cards, it’s important to read the terms and conditions so as not to fall victim to predatory lending. These issuers tend to know applicants are oftentimes in a situation of financial need and may charge high interest rates and fees. Be sure to shop around for the best offer. 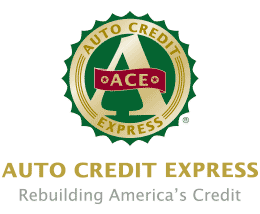 Having little-to-no credit history can actually put you at an advantage over those with a poor credit history. This is because you haven’t had the opportunity to prove yourself a creditworthy borrower yet, as opposed to someone who took out a line of credit and missed or defaulted on payments, causing them to have a poor credit score. While you still won’t qualify for the best unsecured cards until you show that you’re a responsible borrower, you will have plenty of good options open to you – especially if you’re a student. Student credit cards offer rewards for good grades and cash back on purchases, and most have no annual fee. This is true for non-students, as well. Several credit cards for no credit offer rewards, no annual fee, and fair APRs. Fair credit applicants will see perks and terms similar to those offered to applicants with limited credit histories — not the best of the best, but certainly not the worst. Unsecured credit cards for fair and average credit are available with rewards programs and introductory offers, but be sure to apply for just one offer, as each time you apply for a credit card a hard inquiry is made to your credit report. This can negatively affect your score by a few points each time an inquiry is made and remain on your credit report for up to two years. As mentioned, an unsecured credit card is one that doesn’t require a deposit upon approval. Fees, however, can definitely become a burden when you have bad credit. Many cards for poor credit carry processing fees, annual fees, and even monthly maintenance fees – this is why it’s important to read the terms and conditions of a card before applying. Each of the review sections above has a green link that will take you to the corresponding page for those offers. You are then able to compare cards and review terms and conditions. 4. Which Type is Easiest to Apply for and Get? The application process for all credit cards is fairly similar — you’ll be required to provide your personal identifying information, such as your address and Social Security number, as well as your employment information and income. After the application is submitted, most issuers will let you know within minutes if you’ve been approved for the card. Knowing which cards are open to you based on your credit rating will help your chances of being approved. That said, if you have bad credit, don’t apply for an unsecured card for good credit because you want the rewards or a higher credit limit, as you’ll very likely be denied. All of the cards listed on this page are open to poor credit applicants, but if you have a really poor credit score (sub 600), getting approved for a secured card may be easier. 5. Are There “Guaranteed Approval” Cards? The only card that is guaranteed to anyone is a prepaid credit card that you can buy and load the money onto yourself. “Guaranteed” unsecured cards still have requirements attached, such as having a checking account or meeting the minimum income. Cards that tout themselves as having “guaranteed approval” are usually the ones to watch out for, as they are notorious for having high interest rates and fees. As with any credit card, be sure to read the terms so you fully understand what you might be getting yourself into. 6. Can I Use an Unsecured Card to Build Credit? Yes, so long as it’s used properly. What this means is keeping your credit utilization low — most experts recommend below 30% — e.g. if you have a $1,000 credit limit, 30% of that would be a $300 balance. And even more importantly, always pay your bill on time, as this is the biggest influencer to your credit, accounting for 35% of your FICO credit score. Lastly, be sure to choose a credit card that reports to all three credit bureaus, so your responsible borrowing behavior will lead to positive marks on your credit report. Most unsecured credit cards do, but if we haven’t stressed this enough by now, read the fine print!